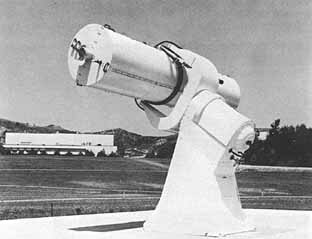 The phenomenon of Moreton waves was first reported in 1960 from the legendary Lockheed Observatory. Y. Uchida in his 1968-1974 papers nicely explained Moreton waves as the intersection of coronal shock waves (due to a flare) with the chromosphere. But since then there had been surprisingly few follow-up studies, until coronal waves were detected by SOHO/EIT (hence called "EIT waves") and got lots of attention especially in conjunction with CMEs. Interestingly, many people came to identify EIT waves with the coronal waves that are responsible for Moreton waves, without actually looking at H images in which the latter waves are observed. Only recently, say after 2000, did H Moreton waves come to be a research topic again. At the Yohkoh meeting, K. Shibata gave an impressive talk to discuss two Moreton wave events, as observed by a small telescope at Hida observatory. The real data analysis was undertaken by his students, of course. His message was that (1) EIT waves are different entities from Moreton waves, and that (2) X-ray waves as detected by Yohkoh SXT, instead, are a coronal counterpart of Moreton waves, therefore signifying fast mode MHD waves as predicted by Uchida. These conclusions are based on the speeds and locations of the three waves. The first event was observed on November 4, 1997, at the time of an intense flare (X2.1 in the NOAA/GOES standard). The reference for the analysis is S. Eto et al. (submitted to PASJ in January 2002). This event was associated with a halo CME, which is considered to be the origin of a geomagnetic storm that occurred three days later. A movie of the H off-band (+0.8 Å) images is given here. Unfortunately, the flare coincided with Yohkoh night, but EIT waves were observed. The figure on the left (click to enlarge) shows EIT waves, and compares the locations and speeds of EIT and Moreton waves. Here we note that EIT waves cover a wider angular span. They were also observed further way from the flare site than Moreton waves, due to the lack of high cadence. Plotting the locations of the wave fronts (along four representative lines OA-OD) with time, those for EIT waves do not come on the extrapolations of Moreton waves as shown in the figure on the right. One could say that this is due to possible slow down of Moreton waves before they were observed by EIT. But this can be precluded by the oscillations of a remote filament (see the encircled area in the figure on the left), for which the authors think Moreton waves were responsible. Including the time and location of the oscillating filament, we see that Moreton waves did not decelerate. Therefore, EIT waves are not a coronal counterpart of Moreton waves. The second event occurred a day before. The flare, in the same active region, was much less intense (only C8.6), but was again associated with an extended CME, although very diffuse. This is one of the extremely rare cases where waves were observed in H and soft X-rays at the same time. The reference for this work is N. Narukage et al., submitted to ApJ in February 2002. Click here for a movie of H off-band (+0.8 Å) and SXT (saturated, quarter-resolution) images. The fronts of Moreton and X-ray waves were traced and their distances from the flare were plotted with time, as shown in the figure on the right. Unlike EIT waves, X-ray waves are well correlated with Moreton waves. Moreover, the observed speed of X-ray waves (630 km/s) is consistent with the speed predicted from MHD shock theory. For a reasonable range of parameters for temperature and magnetic field, the inferred shock speed is 400-740 km/s, according to the authors. Therefore, they concluded that X-ray waves signify MHD fast shocks responsible for Moreton waves. Incidentally, these SXT science nuggets have discussed possible X-ray waves on several occasions. See, for example, (1998Dec25), (1999Aug27), (2000Jul28) and (2001Sep07). Why are these works important? In this age of space weather, people often talk about "CME shocks" as a main agent for solar energetic particle (SEP) events. Type II bursts in the dekametric and hectometric wavelengths (observed by Wind/WAVES, which still sends useful data, to my great relief) are a familiar signature of CME shocks. They are often called interplanetary type II bursts because the frequencies correspond to densities characteristic of the outer corona, say 2-10 R . In contrast, metric type II bursts are usually tied with flare shocks. Although Moreton waves may intrinsically represent shocks from flares, the two examples dealt with in this nugget are associated with both metric and hectometric type II bursts. Are the shocks responsible for these type II bursts driven by different mechanisms? Please look at the figures on the right that combine spectra in the two wavelength regimes (credit to the ISTP Workshop in April 1999), and make your own judgment as to whether they are not connected. Observationally, it seems well established that EIT waves are correlated with CMEs. But Uchida, whose model of Moreton waves is still valid, proposed theory at the Yohkoh meeting on the difference of Moreton and EIT waves in "bubble-type" CMEs that are distinct from "loop-type" CMEs. We are still not sure how much of CME launch/acceleration depends on flare explosions not included in scenarios based on filament-eruption-induced processes. Another question may be if there is a characteristic magnetic topology that results in Moreton/X-ray waves, since the number of events is still very limited. Interestingly, the two events shown in this nugget and other two X-ray wave events on May 6 1998 and November 3 1997 (but 4.5 hours after the one included in this nugget) all involve a CME from trans-equatorial loops. Clearly, studying more events is strongly encouraged. An encouraging thing is that the Moreton wave events reported here came from a tiny H telescope not blessed with good seeing. Therefore, adding an H telescope (including off-band capability) in future missions such as the Solar Dynamics Observatory (SDO) may not be a bad idea. N. Nitta (NVN) (nitta@lmsal.com), with thanks to K. Shibata, S. Eto and N. Narukage.